Most from the Outdoor Pools in Gösdorf (Thuringia) (Thuringia) offer both open lanes for independent swimming and also guided activities like water aerobics or aquabike. 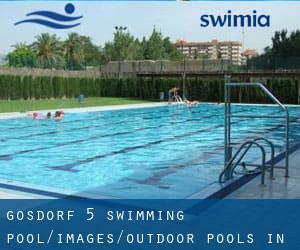 Please check the nearest Outdoor Pools in Gösdorf (Thuringia) (Thuringia) or Contact us to ADD IT. It's free! Water sports are increasing particularly in elderly population sectors who have suffered some type of muscle or bone damage. Swimming is a sport for all ages. It assists young people today to tone their muscles and grow healthy and powerful. There are often discounts readily available to senior citizen and small children. Find out by contacting your nearest pool in Gösdorf. 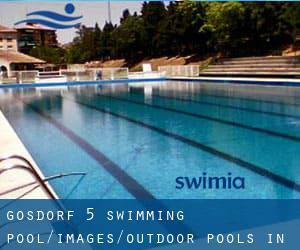 Thanks to some new Outdoor Pools in Gösdorf (Thuringia) (Thuringia) submitted every single day, Swimia.com is increasing daily the number of stored pools. Please do not hesitate to contact us if you find any inaccurate or incomplete information. Updated on 2019 Goernestrasse 21 , Eppendorf , Hamburg , GERMANY (Postal Code: 20249). Among all of the activities provided by the center, if you are considering swimming you may appreciate 25 meters, Outdoors. If you need to contact this Swimming Pool, email address and phone number are both number. Updated on 2019 Mühlendamm 17d , Elmshorn , GERMANY (Postal Code: 25335). Swimmers like you reported Olympic size, 8 lanes, Indoor/Outdoor. Phone number and e-mail address are number for this Swimming Pool. Updated on 2019 Händelstraße , Kronenberg , Aachen , GERMANY (Postal Code: 52074). Swimmers like you have reported 25 meters x 12.5 meters, 6 lanes, 1.8 meters depth, 1.8 meters depth, Outdoors. Also, you will find 17 meters x 14 meters, 4.5 meters depth diving well, 4.5 meters depth diving well, Indoors. Just in case you need to contact this Pool before dropping by, we only know the phone number. Updated on 2019 Eichenstraße 4 , Berlin , GERMANY (Postal Code: 12435). This sports center provides 28 meters x 6.5 meters, 2.08 meters depth, 2.08 meters depth, Indoor/Outdoor. Contact facts for this Swimming Pool such as phone number and e-mail address are number. Updated on 2019 In the SI-Centre , Plieninger Strasse 100/1 , Stuttgart , GERMANY (Postal Code: 70567). This sports center offers 20 meters, Indoor/Outdoor. Contact information for this Swimming Pool such as phone number and e-mail address are number. Updated on 2019 Berliner Platz 1 , Ludwigsburg , GERMANY (Postal Code: 71638). This great and large sports center lets professional swimmers like you enjoy 25 meters x 16.5 meters, Indoors. Additionally, within these facilities you can try 24 meters x 12 meters, Outdoors. Unfortunately we do not have the e-mail address of this Pool, but we can provide you with the phone number. Updated on 2019 Altenritter Strasse , Baunatal , GERMANY (Postal Code: 34225). Swimmers like you reported 25 meters, 6 lanes, 2 meters - 3.8 meters depth, 2 meters - 3.8 meters depth, Indoor/Outdoor. Phone number and e-mail address are number for this Swimming Pool. Updated on 2019 Postillonstrasse 17 , Munich , GERMANY (Postal Code: 80637). Among all of the activities offered by the center, if you are interested in swimming you will enjoy Olympic size, 8 lanes, Outdoors. If you must contact this Pool, e-mail address and phone number are both number. Updated on 2019 Am Stadtbad 2 , Delmenhorst , GERMANY (Postal Code: 27753). Swimmers like you have reported 25 meters, 6 lanes, 1.1 meters - 1.8 meters depth, 1.1 meters - 1.8 meters depth, Indoors. Also, you will find 25 meters, 4 lanes, Outdoors. If you'll want to contact this Pool, e-mail address and phone number are both number. Updated on 2019 Bürgermeister-Cornell-Ring , Ahlen , GERMANY (Postal Code: 59227). Swimmers like you reported Olympic size, Outdoors. Phone number and e mail address are number for this Swimming Pool. Updated on 2019 Am Hexenbuckel 1 , Boeblingen , GERMANY (Postal Code: 71032). This sports center offers 20 meters, Outdoors. Contact facts for this Pool such as phone number and email address are number. Updated on 2019 Talstrasse 120 , Neustadt an der Weinstrasse , GERMANY (Postal Code: 67433). Swimmers like you reported Olympic size x 25 meters, 10 lanes, Indoor/Outdoor. Phone number and email address are number for this Swimming Pool. Updated on 2019 Nassauer Allee , Schlangenbad , GERMANY (Postal Code: 65388). This sports center offers 30 meters, Outdoors. For this Swimming Pool, only phone number is number here. Updated on 2019 Bückelhaube , Gruenstadt , GERMANY (Postal Code: 67269). Among all the activities offered by the center, if you are enthusiastic about swimming you might delight in Olympic size, 6 lanes, Indoor/Outdoor. Just in case you want to contact this Swimming Pool prior to dropping by, we only know the phone number.